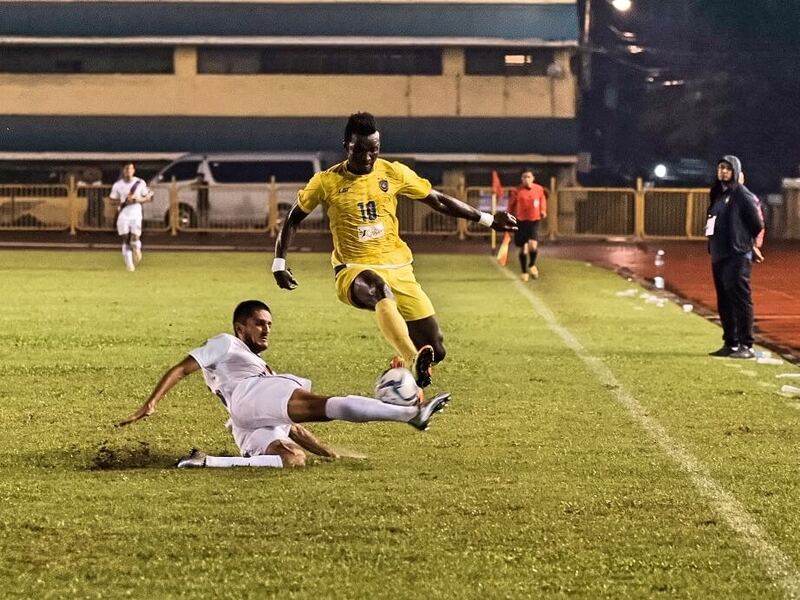 Global Cebu FC wasted a golden chance to go on top after settling to a scoreless draw against a gritty Davao Aguilas at the Cebu City Sports Center in the Philippines Football League. Global Cebu remains at second place with 21 points, two off leaders Meralco Manila, which saw its unbeaten streak ending in embarrassing fashion with a 7-0 loss to the rampaging Ceres Negros. A win would have put Global on top on goal difference over Meralco. “The players tried really hard but Davao was better organized on defense and they were able to adjust well,” said Global Cebu coach Marjo Allado. Global Cebu controlled the pace of the match but couldn’t break through in the final third. Misagh Bahadoran, who had two against the Stallions, was ineffective up front, while Sekou Sylla, who came in the second half for Paolo Bugas, couldn’t get past Keeper Marko Trkulja. The Davao custodian, who was named the Man of the Match, also collected a last-minute header off Sylla deep in injury time to preserve the draw. “I’m very happy getting the Man of the match but it was the team that helped me make those saves,” said Trkulja. Shu Sasaki, whose bicycle kick capped Global Cebu’s 3-0 win over the Stallions, also had a brilliant chance but his first touch off a lovely through ball from Paul Mulders was just too strong. “Obviously very happy with the results today compared to the last time. They were very organized and Trkilja managed the back four very well,” said Davao coach Gary Philippis, whose team lost to Kaya FC, 5-1, at home in their last game.